In Joseph Phelps Vineyards, LLC v. Fairmont Holdings, LLC, [2016-1089](May 24, 2017), the Federal Circuit vacated a TTAB decision denying cancellation of Fairmont’s Reg. No. 4213619 on the mark ALEC BRADLEY STAR INSIGNIA for cigars, brought by Joseph Phelps Vineyards, owner of Reg. No. 1123429 on the mark INSIGNIA for wines. In the eyes of the Federal Circuit, the TTAB’s error was in completely discounting fame as a factor once it determined that the mark was not famous. As a result of this error, the Board did not properly apply the totality of the circumstances standard, which requires considering all the relevant factors on a scale appropriate to their merits. an all-or-nothing measure of “fame,” more akin to dilution analysis than likelihood of confusion analysis. The Federal Circuit found that the record shows appreciation by consumers and the wine market of Vineyards’ INSIGNIA brand, and concluded that it was error to refuse to accord any “fame” to Vineyards’ INSIGNIA mark. The Federal Circuit concluded that the factor of “fame” warrants reasonable weight, among the totality of the circumstances. 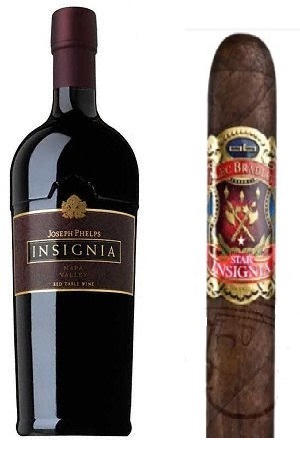 It is not clear from the Opinion what upsets Joseph Phelps Vineyards about Fairmont Holding’s ALEC BRADLEY STAR INSIGNIA mark. Joseph Phelps Vineyards’ registration already co-exists with a registration on COACH INSIGNIA for wines (Reg. No. 1394292, which is incontestable) and a registration on BAHIA INSIGNIAS (Reg. No. 4,604,938). Even with fame properly considered as a factor, Joseph Phelps Vineyard may not get the result it is seeking.